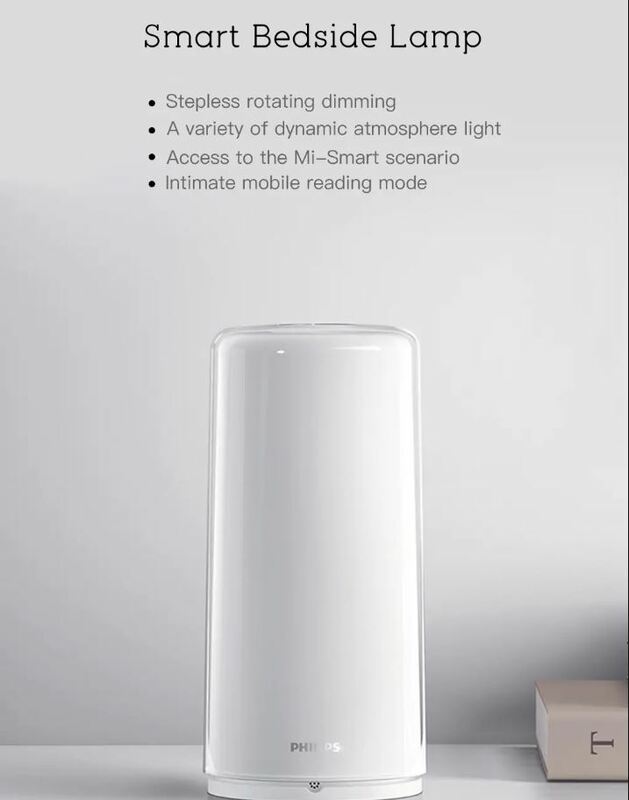 Introducing the Xiaomi PHILIPS Smart Bedside Lamp. 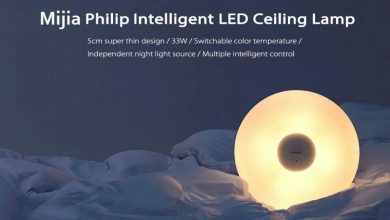 This intelligent bed lamp is friendly to your eyes to enjoy a stunning 360 degrees light show, which perfectly fits your mood and surroundings. Its stepless rotating dimming brings a variety of dynamic atmosphere light. 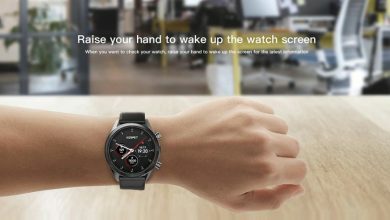 It can also be controlled by the mobile phone APP. Now, light up a bright new world in sensational style. 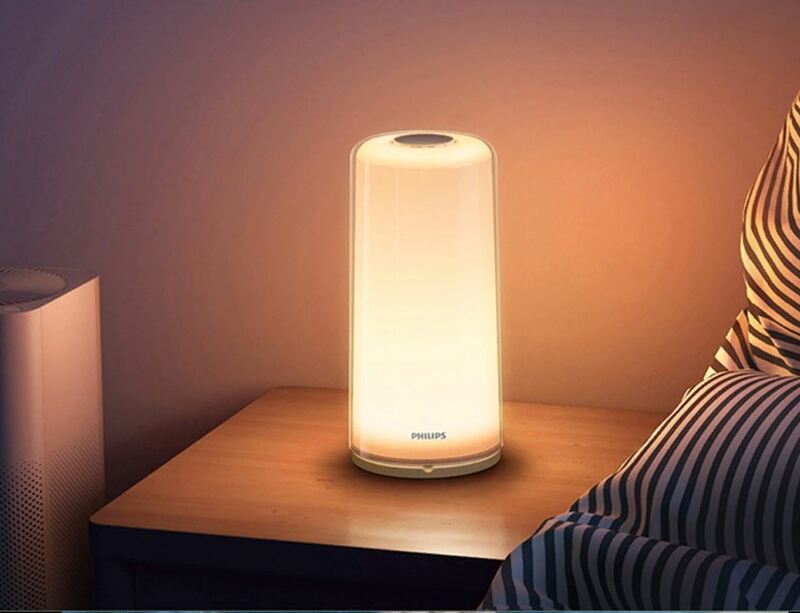 The Xiaomi PHILIPS Smart Bedside Lamp has a fully glowing design that gives you a lucid, translucent visual experience. The stepless dimming experience allows you to control the light more freely. 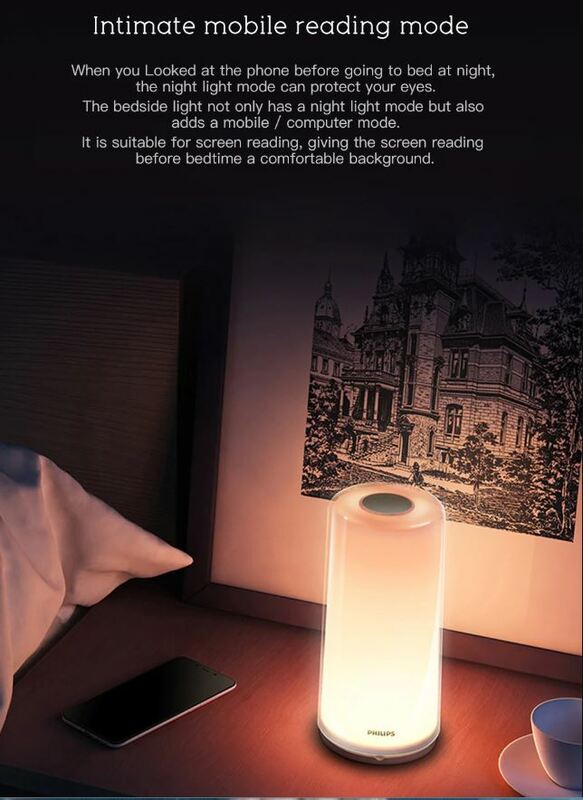 This device has Built-in digital light sensor, at night it turns on the night light mood to relieve sleep. The daylight awakening and colour dynamic scenes make sleep healthier and makes life more colourful. The Xiaomi has a rotatable shade design that allows you to adjust the brightness with ease. THis device also has varieties of dynamic atmosphere light namely the green atmosphere lamp, orange-yellow atmosphere lamp, Pink atmosphere lamp and the blue atmosphere lampthis makes this lamp exquisite. 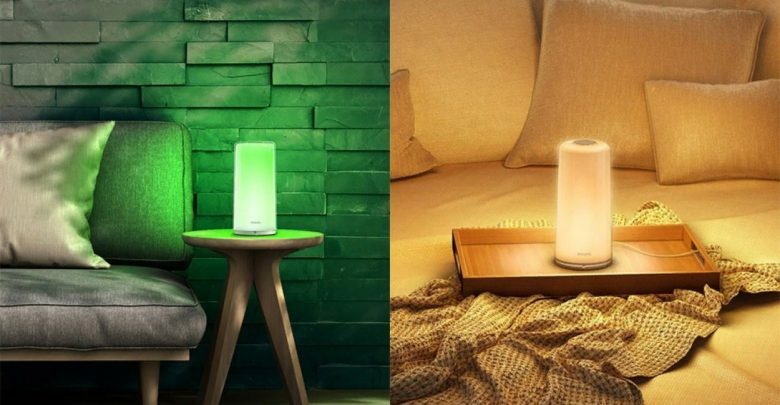 The Xiaomi PHILIPS Smart Bedside Lamp is currently available On Gearbest for $69.99.